Does community development connote a specific mode of practice? And is the term "community development" still useful to audiences external to our field? Has The Term Community Development Run Its Course? Born in response to the effects of urban renewal and inspired by the action of the Civil Rights Movement, the community development field has sought to empower individuals with the skills, tools, and resources they need to effect change within their communities. Specifically focused on revitalizing low-income, underserved neighborhoods, the field has expanded since the late 1960s. The field has become more comprehensive, now including a variety of stakeholders, initiatives, policies, and approaches. The core mission hasn’t changed. Community developers strive to empower communities by addressing issues like poverty, housing, education, employment, mobility, transportation, and health. The influences of globalization, the 2008 housing crash, shifting federal policies, and reductions in funding have people in the field reevaluating what community development means to internal and external audiences, and how it’s affecting their ability to meet the demands of communities today. Some professionals stand behind the phrase “community development,” taking the perspective that if it ain’t broke, don’t fix it. They’re used to the phrase and believe in the idealism behind it. Some professionals do acknowledge that the phrase just isn’t conveying meaning in the way that it should. The community development field evolved through partnerships with nonprofit and philanthropic organizations, and from receiving financial support from banks and the government. Despite the growth of the field, at times the phrase community development can get lost in translation. Although the work being done is community focused, there is not always a consensus to call it community development. Professionals in the field say that community development work is multifaceted and that the term is fluid. The overall agreement is that community development is a holistic approach to empowering people. It is an approach that requires looking at the inter-connected nature of people and their brick-and-mortar environment. Community development professionals say that, amongst themselves, they understand and use the phrase “community development” to describe their work. However, they say that since the phrase isn’t formally codified, people use the phrase in different ways and define it for themselves. Words evolve to adjust to current times and a new linguistic ecosystem. As such, what community development meant in the 1960s and 1970s doesn’t seem to quite match up with how it is identified today. According to Peter Cohen, co-director of the Council of Community Housing Organizations in San Francisco, the phrase community development is still an insider term, and there is a disconnect in that the public and the media don’t have a real sense of what the term means. Access to affordable, livable homes has been a part of the fabric of community development since its emergence. But what pushed housing efforts to prominence over other community-based initiatives was funding and support. “I think the focus on housing has sucked all the air out of the room,” says Terry Chelikowsky, executive director of the Florida Alliance of Community Development Corporations. “Ithas really taken away from the broader concept of community and economic development.” While community development organizations do focus on expanding affordable housing, some say they are trying to direct the conversation to the other human issues that are interconnected with place-based issues. Some organizations have been stepping back to have internal discussions about rebranding, and how they can best communicate to internal and external audiences who they are and what they do. Chelikowsky says that last year, the board of Florida alliance decided to focus on changing how they define themselves. They have had difficulty recruiting membership because, as Chelikowsky explains, most nonprofits do not consider themselves to be community development corporations. 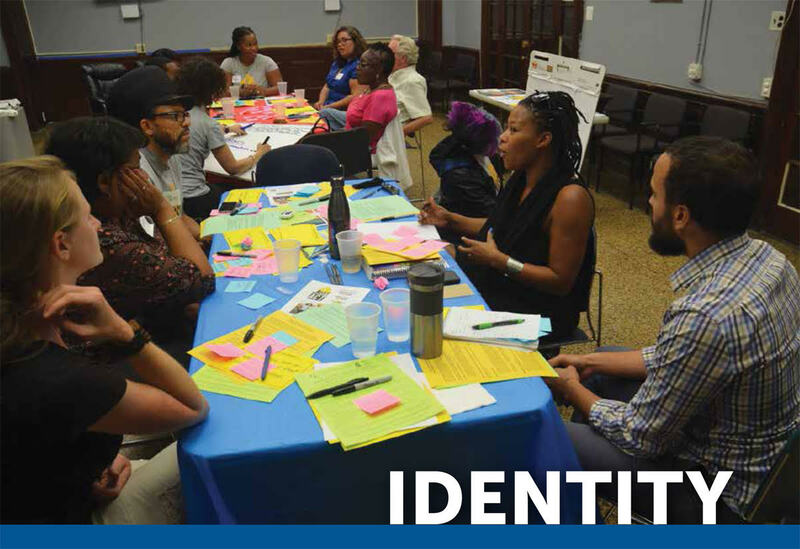 “Our definition is, if you are working in a low-to-moderate income community, and you are providing any kinds of programming or services that are designed to increase the chances for those individuals to have access to more opportunity and better access to prosperity, then you’re doing community development,” Chelikowsky says. “One of our main drivers is really elevating that piece of it,” explains Sanada, who adds that his organization focuses on issues and services like employment, incubator spaces, and fresh food programs. Sanada, who has a policy background, says that the disconnect relating to community development extends to the federal level, causing some programs to miss the mark at the ground level. People in the field aren’t completely ready to ditch the phrase “community development” as a catchphrase. However, they recognize that the phrase does not make it easy to tell the story of the field, the work, and its goals. A steady stream of new terms and phrases emerging in discourse, including revitalization, prosperity, prosperous, thriving communities, equitable development, and inclusive growth. Brown says that the aforementioned words come up any time that she has been a part of naming a new conference workshop. So where are these terms and phrases coming from? Brown says she thinks it may come from other related sectors doing community-based work, and people are trying to find a term that’s positive and aspirational. “The questions that come up are ‘what could we call this? What are we trying to accomplish?’” she explains. “Then you get, ‘we want prosperity for everyone. We want everyone to thrive.’ So, I think a lot of it comes from the vision that we want to see.” Proposing new words and phrases is one thing, but the question is how will these new phrases take shape within the field? Are these words truly encompassing the message that community development practitioners want to convey? Marla Newman, community development director for the City of Winston Salem, North Carolina is not entirely sure. “Part of the struggle right now is trying to think about what a word means,” she says, “and part of what I’m processing is, if I say revitalization, am I leaving out something that’s a part of this or not?’ Chelikowsky is also uncertain about changing the term. She does acknowledge that the first step in controlling the branding starts with people in the field. Brittany Hutson is a freelance journalist based in Detroit. She has written for Black Enterprise Magazine, Essence Magazine, The Wall Street Journal, Shelterforce Magazine, and Diverse: Issues in Higher Education. So What Is Community Economic Development Anyway? I’ve spent nearly twenty years in the field of community economic development, and I still have trouble describing what exactly it is. Is it synonymous with community development? Why is it so focused on affordable housing? How is it measured? Who’s in control? What does it look like when it’s done well? The first line in the Wikipedia definition includes the phrase “a field of study.” That strikes me as an odd thing to say right out of the gates, given that I’ve always felt our field was an action-oriented one. Even on our own websites, we seem to come up short describing what it is we do. While we may talk around the fringes, or describe the work of our members, it’s difficult to find what we ourselves define as the core work we engage in. It also doesn’t help us that others tangentially related to our work have co-opted our terms. Can a bank really have a community development lending arm? With all that being said, it’s probably more important now than ever that we rescue our own phrase and define it on our own terms. What should be included? Obviously, our work is centered in improving lives by enhancing the prosperity of those we work with. This enhanced prosperity can come in many ways, and should be reflective of the needs of the community. There also needs to be a strong element of self-control – those being affected must be calling the shots. Community economic development should be less about intervention from the outside and more about determining one’s own destiny. There could be a really important role for CED associations to assist members in recruiting and training neighborhood-based talent to be effective Board members. I’ve always found it problematic that in years past, what we did as a field was driven by the funding available. In an attempt to keep our doors open, we went after whatever we could to turn a profit to keep us in business. While this caused mission drift – which is bad enough – it also took away our control as we became more beholden to external funders than to our own community members. Looking to the future, we need to return to the days of identifying our own needs and working to address those needs on our own terms. Again, an important role for a CED association to take could be in helping members articulate their goals and then pressing funders to support activities truly needed within a community. And perhaps CED associations across the nation can finally take on that most sacred of cows, the Community Reinvestment Act? Who isn’t tired of hearing the phrase “that’s not CRA eligible?” Perhaps CRA eligibility ought to be redefined to support community organizing and other similar activities. The challenge for the future, for those engaged in community economic development at the state and national level, will be to not only succinctly define our work, but to bolster it and defend it. By making a clear case for what it is and why it can be so life-changing, we will help those in communities we engage with by making the case for why their efforts are worthy of support. Brian McGrain is director of economic planning and development for the City of Lansing, Michigan. My perspective is informed by my life and work in a rural region. Our rural communities have seen sharp decreases in population, limited proactive public policy, and years of disinvestment. The lopsided focus on urbanization continues to negatively impact rural communities that were once essential to our country’s economic prosperity. This has contributed to the political divisions in our society and the symptoms of fractured vision, political inaction, and spiritual bankruptcy. What we in the community development field call our work is less important than what we do. I don’t mean to minimize the importance of language and symbolism, but our work occupies a small space in the public’s consciousness and will always be unclear to a segment of the population. How we do our work is more important than who we say we are. Our best strategy to increase our sphere of influence in our society is to invest more time, money, and energy into community organizing, leadership development, and civic reciprocity. We need to be strong reciprocators who set examples for community members on how to engage neighbors around issues facing the community. We need to create spaces for people to take action, understand the levers of power, and implement strategies that demand local control as a means to promote community development. Better government services and more money are not the best solutions, although they are important tools we need to continue to advocate for. The trend to focus on marketing, branding, and social media at CDCs can be a fool’s errand, buying into the system and bowing down to the capitalist model of free market principles. Economic justice requires push-back on systemic failures that have contributed to the largest gap in income and wealth in our lifetime and beyond. We must ask ourselves what our current relationship is to the marketplace and what we are willing to tolerate when we participate in the practices that negatively impact low- to moderate-income Americans (e.g. accepting money from certain institutions or businesses that may not truly support our mission or advertising their logo on our websites). We need to have a conscience. Actions speak louder than words. If we are effective in our work and grow our local support, we will worry less about what terminology we use. When in doubt, we should use plainspoken language that people in our communities can relate to. Let’s focus on our mission and our best strategies to engage and empower our local community members who have all the talent, smarts and motivation to do our work for us. The community development movement needs to take a wide view of its mission to promote desperately-needed economic and racial justice to our rural communities. The power is in the people. We can help amplify their voices! Dave Christopolis is the executive director of Hilltown CDC in Chesterfield, Massachusetts. Comprehensive community development took us to a place where we no longer seemed so focused on housing. Instead, we’re focused on all aspects of a healthy community. Later, the word “prosperity” came into play. Our most recent translation has been to say, “comprehensive community development = adaptive prosperity.” At the Indiana Association for Community Economic Development — now rebranded as Prosperity Indiana — we even made that leap in our naming. But in the brief time that I’ve been the executive director, I’ve had multiple conversations where leaders of organizations that we consider critical partners no longer see how they fit into our membership. Although the purpose of our messaging had been to help them think about their relationship to others in the field and do their work better, in speaking so comprehensively we lost some of our target audience. Members we have been working to serve stopped seeing a place for themselves under our big tent. The big tent that we’ve always had, mind you. In focusing our message so broadly around the fact that community development is about everything that contributes to a healthy place, our message had become exclusionary, instead of inclusionary. Where I’ve landed is this: We are not focused (singularly) on just one aspect of community development – whether it’s being the statewide housing organization or statewide homeless-serving organization or statewide anything that sounds super narrow. We are, in fact, about all things community development. We always have been. I don’t imagine that’s changing any time soon. But we are (once again) changing our message. Our new messaging will focus on highlighting the individual aspects of our work, not on its comprehensiveness. We’ll keep thinking about the comprehensive nature of it all. We’ll talk about comprehensive community development as a theory and process when appropriate. But mostly, we’ll be doling out how we talk about community development in bite-size slices. Conveniently, our new name is Prosperity Indiana, aka PI. So, we’ll be highlighting how aspects of our work are Piece of the PI(E) – with the focus being on the Piece not the PI. I share this to encourage you to not get caught up in the name – whether community development or community economic development or comprehensive community development or prosperity. Get caught up in the work. And when you talk about the work, I suggest doing something my parents always taught me: KISS. They would have said “Keep It Simple, Stupid.” But this sounds nicer: Keep It Simple, [community development] Superstar. (Or whatever you want to call yourself – since the whole point of this essay is that the name isn’t important.) What’s important is the work! So, focus on that – and go get ’em, Superstar! Jessica Love is executive director of Prosperity Indiana. Has the term “community development” run its course? Not by a long shot. As stated in the essay, the core mission of community development, “to empower communities by addressing issues like poverty, housing, education, employment, mobility, transportation, and health,” is still vital, maybe now more than ever. And to continue our work, we should be enlarging the circle to encourage everyone to call themselves community developers. Dr. Leland Kaiser, health care futurist, coined the term “community potentiation” wherein we are all working towards realizing the highest potential of the community and its residents. This model is based on abundance and community collaboration with a focus on the potential of people and maximizing their well-being. Imagine if public health workers called themselves community developers. How about educators, law enforcement officers, and primary care doctors? What if we all worked together in a community? I’m not talking about a partnership here and there. I’m talking about systematic and deliberate integration of funding, planning, implementation, and evaluation of policies and programs with the people they affect. A necessary step for this integration to occur is to agree on shared measures of success based on the health and well-being of the residents. No more counting the number of apartments built, or school test scores, or the number of people employed through a job training program. We should all base success on these same shared measures of community potentiation. Community development is more relevant than ever. We are all in this together. In the long run, the path to success is the redesign of our systems to fund upstream solutions like affordable homes, access to healthy foods, a good education, and jobs. Valerie Iverson is principal at Iverson Ideas Consulting and a member of NACEDA’s Board of Directors. Taking up NACEDA's call to respond to essays in a variety of creative formats, Ohio CDC Association staff joined to create a podcast, Somewhere In Ohio, as their response to this essay. Join Melissa, Lisa, and Alana as they discuss the different "buckets" of community development work, parse the distinctions between affordable housing and community development, and weigh in on the whether any common national language for the field could convey the work of community economic development organizations to the variety of local contexts in which they operate. Find out why they feel "community development" is a good term, and hear stories of how they have communicated and branded the work of Ohio CDC Association and its members. And, keep a keen ear to find out what tainted meat has to do with what vocabulary the community economic development sector employs. Melissa Miller is associate director, Lisa Much is communications and development director, and Alana Perez is AmeriCorps VISTA program manager at Ohio CDC Association. Language matters a lot to me. It has for as long as I can remember. My mom is a voracious book-lover and taught me to read at age four. I majored in English as an undergraduate and studied Spanish on the side. I’ve been long-steeped in the idea that what we say is only half of what matters; what’s equally important, although it isn’t always treated with equal weight, is how we say it. I think every profession, to some extent, struggles with “the jargon problem.” In the grocery industry, where I worked for five years after graduating from college, my colleagues puzzled over the same issues that community development professionals are grappling with now. “So many acronyms!” we would declare, throwing our hands up. “How is anyone supposed to know what we’re saying?” (Maybe you’ve heard that one before.) In truth, though, I think that this obscure communal lexicon was, at times, a source of comfort for many. We all live in some kind of a social and cultural circle. … But if we have no connection whatsoever with the worlds beyond the one we take for granted, then we too run the risk of drying up inside. Our imagination might shrink; our hearts might dwindle, and our humanness might wither if we stay for too long inside our cultural cocoons. I don’t pretend to have a catch-all solution to our field’s struggles with language. But I will argue that we should all be thinking about our choice of words as often and as seriously as we’re thinking about the ideas we’re working to express. Can this vocabulary build bridges with people and places outside of our community development circles? Or are our words reinforcing the snug, familiar light and walls that we know best? When we turn to the window, are we face-to-face with our own reflections? Or are we welcoming the wide world outside and its newcomers, fresh ideas, diverse perspectives, and opportunities for growth? Jenny Connelly-Bowen is executive director of Community Builders Network of Metro St. Louis. What phrase or name do you use to describe the work we do? Do you find that most people understand that phrase or name right away? How is the definition of community economic development changing and evolving, given current circumstances and resources? In what ways does the term community economic development (and other jargon in our field) make us more efficient with our work? In what ways does it hold us back?